Where did you say that visitor came from again? There are two sets of visitors—organic searchers and paid visitors. A paid visitor is one who responds to one of your ads, on Google, Facebook or otherwise. Are you aware that the Federal Trade Commission has just released new guidelines for Online and Mobile Advertisers? 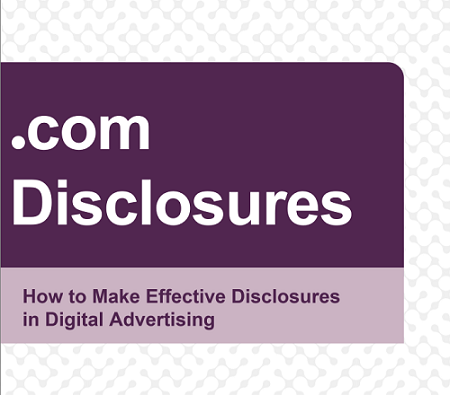 This information came out March 12, 2013 and is known as "Dot Com Disclosures" How to Make Effective Disclosures in Digital Advertising. The rules are intended to protect consumers from fraudulent, deceptive, and unfair business practices. If you are a blogger who sells items, you need to read this. If you are an affiliate marketer, you need to read this. If you put ads anywhere online, you need to read this.